Keep The Air Quality in Your Greenhouses, Warehouses & Growing Rooms Safe and Clean with Maximum Production By Replacing the UV Bulbs and Pre-Filters Once Per Year. Here We Offer A Complete Annual Replacement Kit for the KES Airocide AiroClean 420 at A Discount Price with Free Shipping! Original OEM replacement UV bulb & pre-filter set for KES Airocide AiroClean 420 horticultural air sanitizer purifiers provide the best indoor and greenhouse air quality when replaced every year. 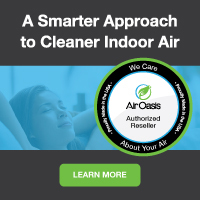 At Air Purifiers and Cleaners.com, we make it easy for you to get the best commercial and industrial air purifier systems, replacement filters and more at discount prices with free shipping due to our extremely low overhead. Call our specialists today with your questions at 1-800-701-2513 We are here to help!